'Tis the time for green algae. The ghastly stuff has bloomed in Chichester Harbour, winding itself round the oars and generally obstructing progress. 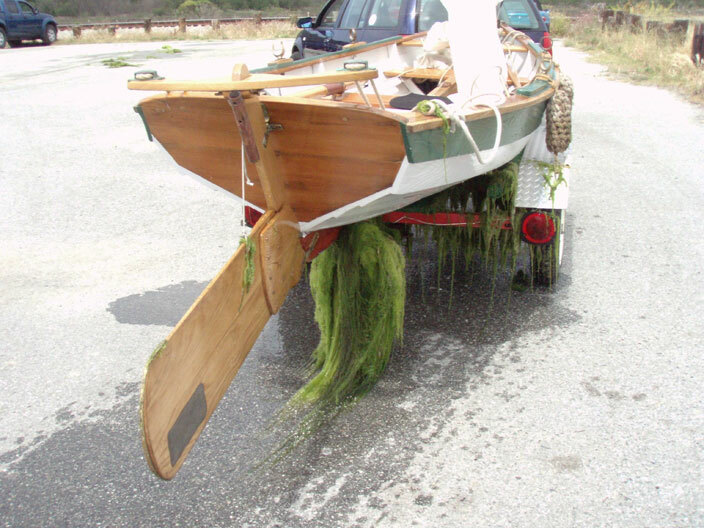 It get everywhere, even sunlit California, where lucky David 'Thorne' Luckhardt and his fellow row/sailers had to wade through swathes of the green sludge to get their boats out of the evocatively-named Elk Slough river, near the lovely city of Santa Cruz. There's a great report with pictures here.